It is our pleasure every month to introduce another person from the community who works actively as a coach. This way we can all support each other and we can all learn from each other. For everyone this means access to more ideas, shared vision and an opportunity to connect and collaborate. 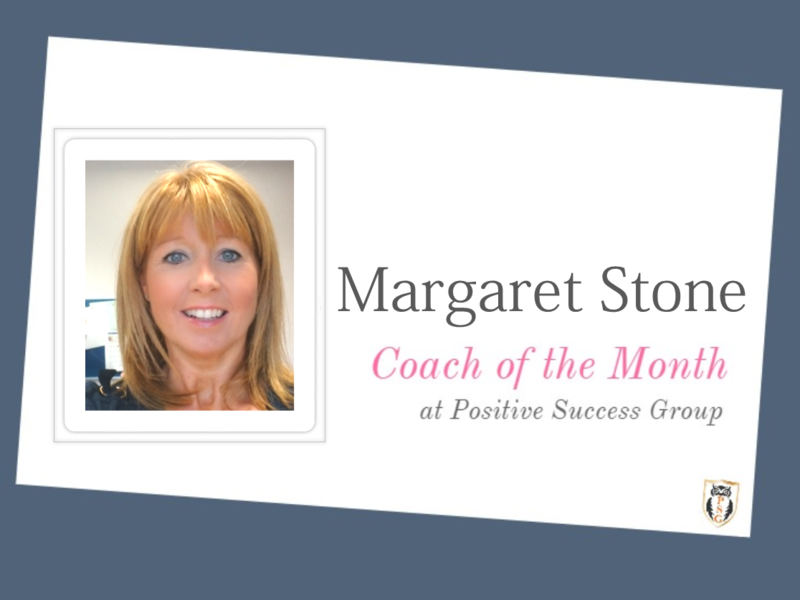 It is our pleasure to introduce Margaret Stone as our Coach of the Month for September. Being a Featured Coach means that a professional coach can introduce themselves, their work, purpose, approach and a view of coaching and its future. Here is Margaret’s thoughts on her journey as a coach, her experiences and what brings her fulfillment in this profession. Here is our Coach of the Month – September Coaching Q & A.
Goodness, its hard to pick three!! It is such an ongoing progression of learning and development and self awareness. I find I keep reminding myself to trust the process when I find myself making the mistake of overthinking and planning a session with a client. My experience has been that when a client comes to you to work on an issue or problem, what they initially want to cover does not end up being the focus. Once the layers are peeled back what seemed important at the start seem insignificant later and the opportunity for a client to refocus on what is truly possible is fantastic. This can only happen if you have trust. Trust in yourself as a coach, trust in your client to find the right answers at the right time and trust in the process that this will happen. PSG: To – date, as a coach, what has brought you the most fulfillment? PSG: What do you foresee as the main reasons for clients to look for coaching in the last quarter of 2015? I would agree with a previous contributor that the economic climate is certainly influencing clients looking for career coaching. I still see though the main focus remaining with clients seeking the ultimate work life balance, something is not right and they find it hard to control their busy lives. It is lovely to work with clients and help them regain focus on what is important to them and see them blossom during this time.